The audience will enjoy this amusing and poignant musical, a feel-good patriotic celebration in the genre of classic American Musical Theatre. 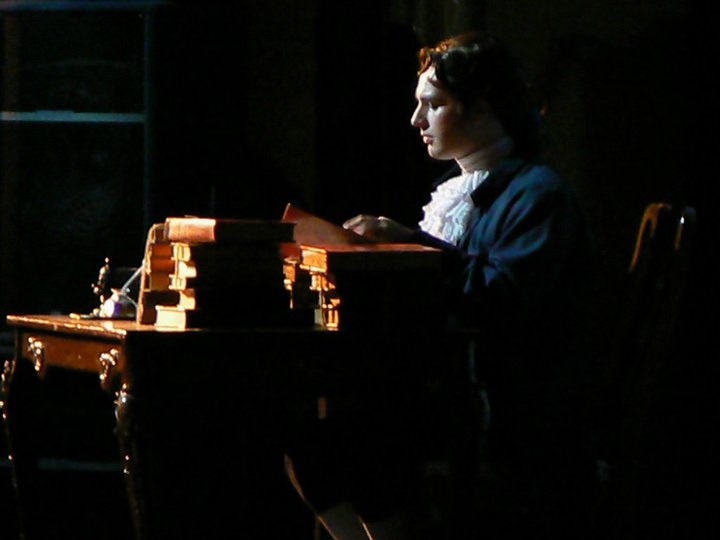 1787 the Musical – We Wrote the Constitution is the entertaining story, from a non-partisan perspective, about the framing of the Constitution – with Madison, Franklin, Hamilton, Washington, and others, including their wives and Washington’s slave – similar to 1776, but using Madison’s and others’ notes as sources. A timeless portrayal developed over 10 years, it premiered in 2011 at the historic 1500-seat Virginia Theatre, and the at-or near capacity audience rose to a standing ovation every night before the end of the finale! In the 10 years following the American Revolution of 1776, there was nearly a century of revolution in fashion styles. 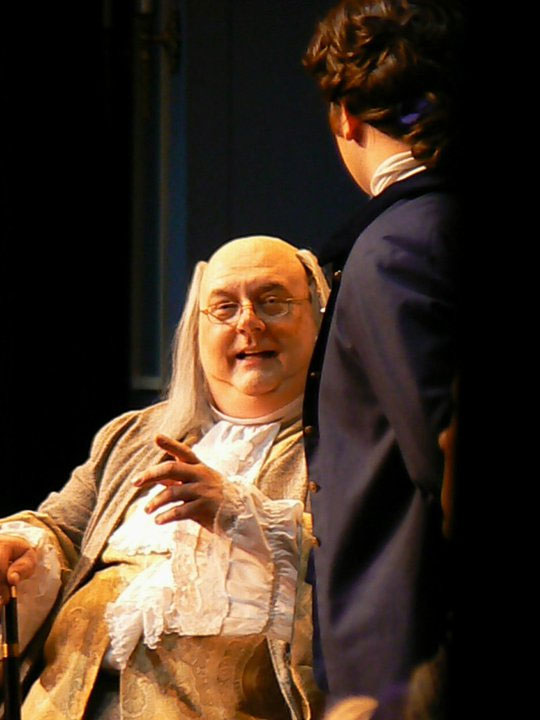 Most younger delegates and those in the North – particularly Benjamin Franklin – by 1787, went for the look of the common man: no wigs, no brass buttons, no garish silks and lace. Old-timers and many from the South kept the older, 18th-century look. With music styles from operetta to barbershop, from gospel to rock-and-roll, 1787 the Musical blends beautiful ballads, catchy up-tunes, and memorable characters. Adding a generous sprinkling of humor, this honest, evocative, and timeless portrayal begins with Shays’ Rebellion and culminates in celebration following Ratification. several ideas for the story. He continued his study of the history and development of the script, and later, in search of a collaborator, he found composer Lucinda Lawrence at the University of Illinois in 2005. In 2009, the University of Illinois Opera Studio performed a semi-staged concert of 10 of the songs with brief narration providing the story. Many readings, cuts, and edits later, the full premiere of this amusing and poignant musical was produced mid-summer 2011 by a local theatre company, The Creative Dramatics Workshop.